Improving your commercial security takes many forms. Whether you hire more guards or loss prevention officers, or you upgrade the security cameras placed around your business, both measures can help your employees and visitors feel safer while they are inside your building. Still, you might overlook the merits of access control systems. Here are some of the different types of access control your business can implement to become more secure. You might overlook the merits of access control systems. Here are some of the different types of access control your business can implement to become more secure. Access control systems can be considered as much more advanced versions of door locks, but that is not the only situation in which you might see them at work. Every time you go to unlock your smartphone, you might be prompted to put in a pin code or a password. This same principle applies to the systems you can use to improve the security of your commercial building. Each employee can be given the pin code or the special password that allows entrance into your building or your company’s offices. The next access control systems you can experiment with involves the use of access cards. Now, there are different types of cards, and some of them don’t even need to be cards, as in the case of key fobs. The actual cards can have authorized magnetic strips, activate the system when the card is near enough or are tied to an employee ID that verifies the identity of the user. Although this type of access control system is also easy to understand, install, and supervise, it may be worth it to encrypt them to prevent potential unauthorized access. In some cases, your building will need biometric access. Ever-advancing technology has made this more plausible, even for small businesses. 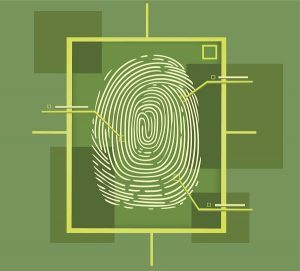 The biometric measures can be connected to office-issued smartphones, or tied to fingerprint scanners and facial recognition technology. Associating biometric access with your mobile devices is an intriguing idea, because many younger workers at your company will be much more comfortable bringing their devices with them, and can have their phones, tablets, and laptops confirmed as verified devices. Doing this can also lower some costs because it means new physical credentials won’t have to be created for them. Two other types of biometric access control include voice recognition and palm prints. As technology improves, so too do your options. This entry was posted on Wednesday, January 30th, 2019 at 9:56 am. Both comments and pings are currently closed.